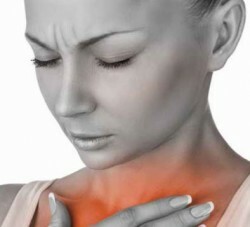 There’s heartburn — mildly irritating — and then there’s Gastroesophageal Reflux Disease, which is defined as two or more heartburn episodes per week and is a whole separate level of irksome agony. You are also more likely to experience reflux if you are pregnant, obese, smoke, wear tight clothing, take aspirin and other anti-inflammatories, and/or are constipated. Raise the head of your bed using blocks or bricks. Extra pillows don’t work but putting a slant to the bed uses gravity to keep your stomach’s contents on the downhill. Eat smaller meals earlier (at least three hours before lying down) and skip bedtime snacks. Slow down and chew each mouthful 20 times. Reflux can be your stomach’s way of revolting because you added too much food, too quickly. Loosen the clothes and belts that are tight around your abdomen to relieve the pressure on your stomach, which pushes acid up and out. Try an “elimination diet” to find other foods that bother you. Keep a journal of what you eat and the results of eating it. There are multiple recommendations for a GERD diet online but think low-fat and basic: baked chicken; steamed vegetables; and green, leafy salads with very little dressing. Lifestyle and diet changes are important components to acid reflux treatment, but, with chronic GERD, you may have to resort to over-the-counter and prescription medications to assist you in the fight. Contrary to popular belief, these medications aren’t designed to cure the cause of the reflux, but instead reduce symptoms by decreasing the production of acid in the stomach and protecting the lining of the esophagus from corrosive acid back flow. H-2 receptor blockers reduce acid-production in the stomach (over-the-counter and prescription). Proton pump inhibitors heal the esophagus by blocking acid production. Prokinetic agents speed the rate at which the stomach empties and tighten the valve between the stomach and the esophagus through which stomach acid escapes. For longterm suffering, ask your doctor about laparoscopic reflux surgery, which is performed to strengthen the valve between the esophagus and the stomach, reducing acid flow to the area and allowing the esophagus to heal. Finally, ask your doctor about low stomach acid. Some research shows that decreased acid due to gut bacterial overgrowth may in fact be the cause of your intestinal distress.